Trade in those loafers for flip flops, after-all, we are at the beach! It&apos;s not uncommon for casual clothing to be worn in fine dining restaurants on the Outer Banks. However, if in doubt, check the restaurant&apos;s website or give them a call regarding their preferred attire. 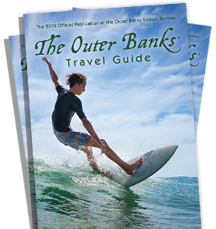 If you are looking for a romantic, fine dining experience with a great view of the sunset, the Outer Banks has so much to offer. Top notch chefs, outstanding service, and world-class menus. A great way to wind down either before dinner or after is by getting a massage at one of our local spas or taking a scenic sunset cruise.